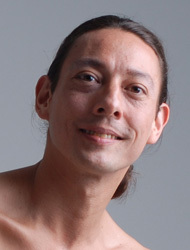 Kip Martin has been dancing and teaching dance for over twenty years in the United States and abroad. He is a graduate of the Riga Choreographic Institute in Latvia (formerly USSR). He also studied privately with master teacher Peter Korogodsky of the Moscow Choreographic School. While in Eastern Europe, Kip participated in an extensive tour of the Baltic Nations with his choreographed solo "All eyes on..." alongside Bolshoi star Ilse Liepa. Kip has danced with the Cincinnati Ballet, Donald Byrd/The Group (NYC) and as guest artist with the Pennsylvania Ballet and Opera Company of Philadelphia. 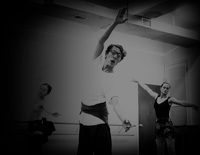 Kip is active as both a teacher and a choreographer. He has taught ballet and related courses for more than two decades in dance schools as well as Master Lecturer at the University of the Arts from 1996-2002. In 2002 Kip was invited to teach a series of master classes at Japan Women's College in Tokyo. He also created "A Small Offering" for the Hashimoto Classic Ballet which was presented at Shinjuku Theatre, Tokyo. He is presently an Adjunct Professor in ballet at Temple University. In 2005, Kip created "Echolalia" which he performed with his dance partner Sun-Mi Cho for the Philadelphia Fringe Festival. Kip presented the inaugural performance of his Namja Yoja dance group in June 2008 in Philadelphia. It featured Kip and Sun-Mi in four works choreographed by Kip. Namja Yoja was invited to perform in the 2008 DUMBO Dance Festival in Brooklyn, NY on September 26 and 27, 2009. Namja Yoja also appeared in the White Wave Cool New York Dance Festival in Brooklyn, NY, on January 31 and February 1, 2009. Kip was invited to present a solo Namja Yoja performance, "Ssit-gi-da." in the Cool New York Dance Festival, in February 2011. In 2013 Kip took a sabbatical from Symmetry to become head ballet teacher at the Russian Ballet School of Hong Kong. He returned two and a half months later with renewed vigor to continue making Symmetry DanceWellness the absolute best training ground for adults in dance anywhere. The school became a floating studio until February 2017; marking the opening and reemergence of Symmetry back into the heart of Center City Philadelphia at its present location on South Street. Kip actively performs as a solo dance theater artist with the premiere of "S(e)oul Adumbration for the SoloDuo Festival at Dixon Place, New York in 2016 and "Anserinae" for the Dumbo Dance Festival at the Gelsey Kirkland Theater in Brooklyn, New York in 2017.